These are some of the most essential gothic bands. For anyone NEW to gothic music this list is a perfect starting place. How Well Do You Know Gothic Music? Which is NOT a song by the Sisters of Mercy? Which band name is also the title of a Dario Argento horror movie from 1977? Which is NOT a song by Joy Division? Which is a title of a Christian Death album? Which was the first album by Fields of Nephilim? 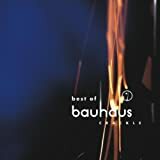 What is the first track on In a Flat Field by Bauhaus? Which band contains former members of Sisters of Mercy? Dead and Buried is a song by which band? Close One Sad Eye is an album released in 1984 by which band? The Crack Up is a song by which band? Some consider this band the ESSENTIAL in gothic music, founded in 1979. Their ultimate classics are First Last and Always, and Floodland. Formed in 1978 and considered the founders of gothic music. The song Bela Lugosi’s Dead is an all-time classic. Broke up in 1983, and later reformed. Formed in 1976. They never considered themselves ‘gothic’ but they are another classic band that had the ‘gothic’ sound. They are often listed as a Post-Punk band, but their songs always had a dark and melancholy sound. Formed in 1984 – In a similar style to the Sisters of Mercy, but with a louder guitar sound. A band that was formed in 1976 and often considered Post-Punk with a gothic rock sound. The album Tinderbox is one of their best recordings. Formed in 1976 and considered Post-Punk, but most of their early releases can be considered gothic. Later releases, after 1986, had a combination of commercial pop songs, and gloomy new wave songs. Formed in 1979 and has a harder gothic rock sound called Death Rock. Check Only Theatre of Pain. Formed in 1988 and considered a Darkwave band. Formed in 1981, and considered a blend of Post-Punk and Gothic. Similar to the Sisters of Mercy. There is no definite list of TOP TEN gothic bands, but the ones we have listed here will almost always appear on any list of gothic bands. The bands listed here are cited as influences for many of the newer gothic bands. Want to make a suggestion to the list? Essential - All of their best songs in this collection of BAT CAVE classics. Repressing. UK collection from the British Goth band. This was their first Best Of ever released and is a must have release for any Goth fan. The album includes 12 indie hit singles!!!! The booklet includes sleeve notes by the band and a full discography.